Monday, 13 August, 2018 | Supplied by: Sigma-Care Development Co. Ltd.
For patients with failing kidneys, undergoing dialysis is a long process with several hours in a chair, usually two to three times a week. 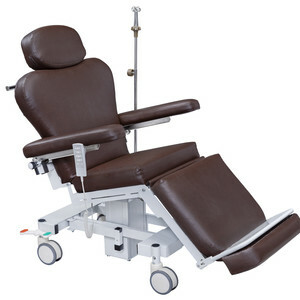 With this in mind, Sigma Care has designed a dialysis chair to maximise patient comfort. With four motors, the chair back can be reclined, the patient’s legs lifted, the chair height adjusted or tilted sideways to facilitate a kidney wash. It has a foldable IV pole socket, removable head rest and an easy-function leg pedal. 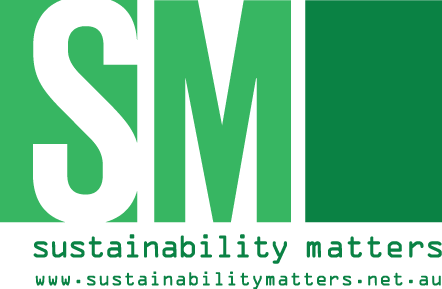 The chair also meets ISO13485, CE and FDA certification requirements. Sigma Care is headquartered in Taiwan and is known for its wide range of hospital beds. It also produces bedside cabinets, emergency trollies, examination tables and a range of other healthcare equipment. Online: Sigma-Care Development Co. Ltd. 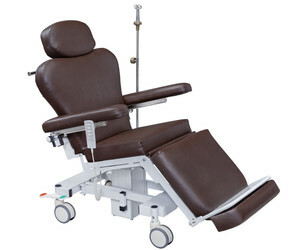 I am interested in Sigma Care Dialysis Chair .